The New York Football Giants upset the New England Patriots in the game of the year once again, after hanging on to a 21-17 win. 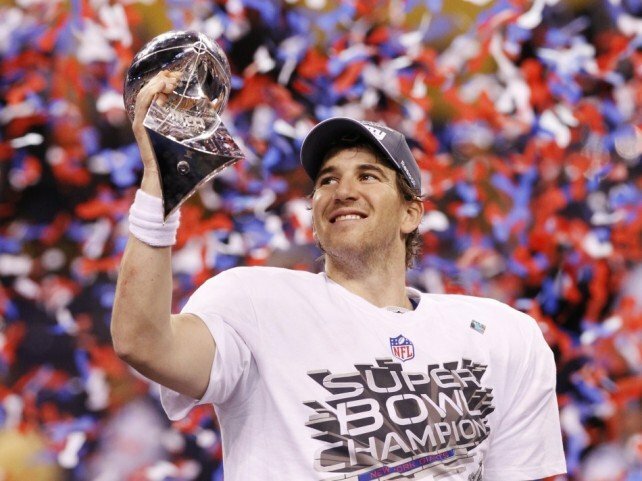 Super Bowl XLVI was a rematch of one of the greatest upsets in a championship game in sports history as Eli Manning willed the Giants to a last minute victory against Tom Brady and the Patriots. Four years later doesn't make much of a difference... The Patriots were once again the favorites, but not by 12 points. This time they were only favored by a 3-point margin. New England won the coin-toss and elected to differ, letting America see the Giants take the ball first in this year's Super Bowl. The Giants came out of the gates with a healthy dose of running and passing, but their drive halted at midfield. Scott Weatherford came on to punt for the Giants and ended up pinning the Patriots deep. On the ensuing play, Tom Brady was flagged for intentional grounding as he threw the ball away just as Justin Tuck slammed him to the ground. With two-points for the Giants, they would receive the ball and capitalize on a short Victor Cruz TD catch. The first quarter came winding to a close, but in the second quarter, Tom Brady lit up Lucas Oil Stadium. The Patriots would put together two long drives in a short amount of time to go up 17-9 at the half. After Madonna's half-time performance, the two teams would return to the field. 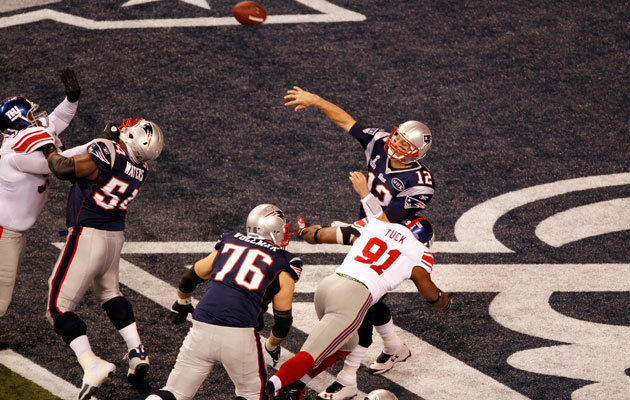 Brady tweaked his shoulder on a play and would never be the same as the Giants capitalized. Lawrence Tynes would kick two field goals to draw the margin to only two points. Needing only the ball and a field goal to win, New York was desperate to get a stop on defense. Just then, Wes Welker dropped a key first down pass that would have iced the game. The Giants got the ball back and would do what they did four years ago: score a TD after a miraculous catch. That is just what Mario Manningham did as he caught a 38 yard pass and tapped his toes in bounds to get the Giants at midfield. Bill Belichick would challenge the play, but ended up losing a key time out. Before you knew it, the Giants were already in field goal range and trying to eat up the clock. Belichick would let Ahmad Bradshaw score with about a minute to go and only one timeout. But even Tom Terrific can't make miracles happen as his Hail Mary fell to ground, incomplete in front of his biggest play-maker, Rob Gronkowski.